This is the first year that I have a child in school and OH BOY is cold and flu season on another level with the fresh batch of germs that dear child is bringing home. As a result, this year more than ever I have my guard up, ready to combat the illnesses that will inevitably come our way. 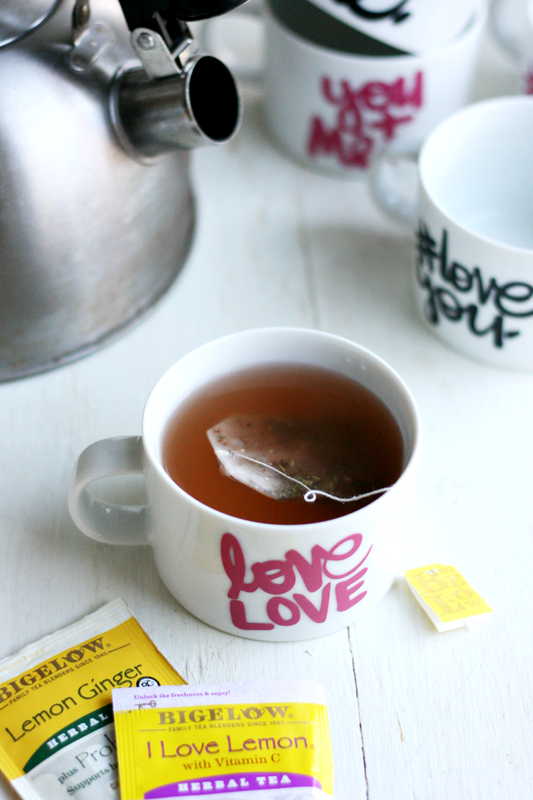 One of my essentials for cold and flu season is Bigelow Tea. 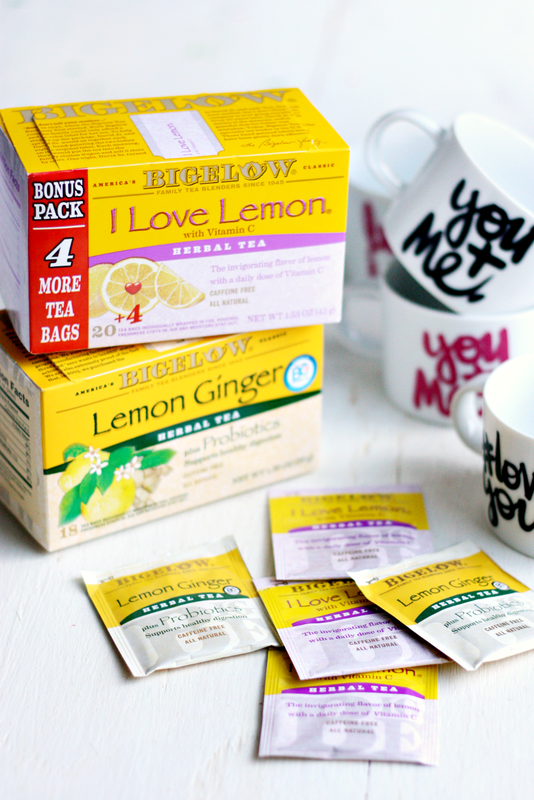 There is nothing that soothes a sore throat or a sick body like hot tea and there are few things that relax me as much as curling up with a big mug of one of Bigelow’s herbal teas with lemon, like my favorites, I Love Lemon (and I DO really love it) and Lemon Ginger. Makes me feel all warm inside just thinking about it. 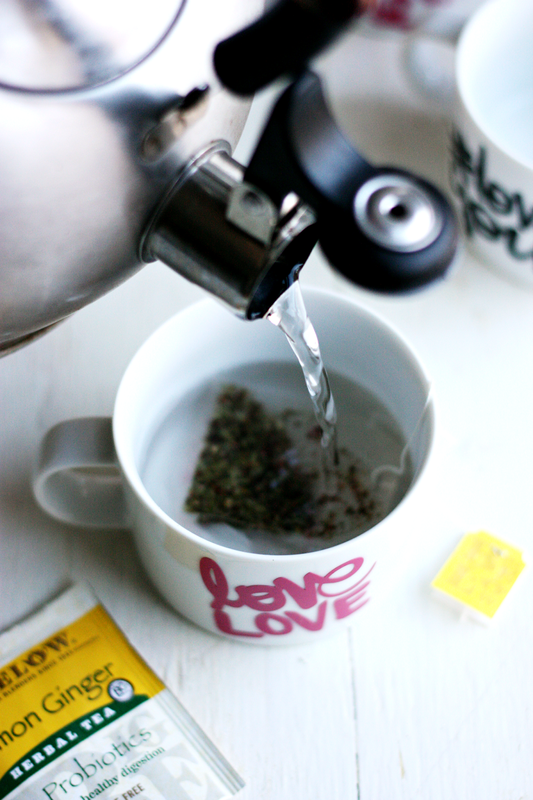 So, today in honor of this yuckiest of germ seasons, I am sharing a fun mug DIY project perfect for filling up with some hot Bigelow Tea when you are feeling under the weather. 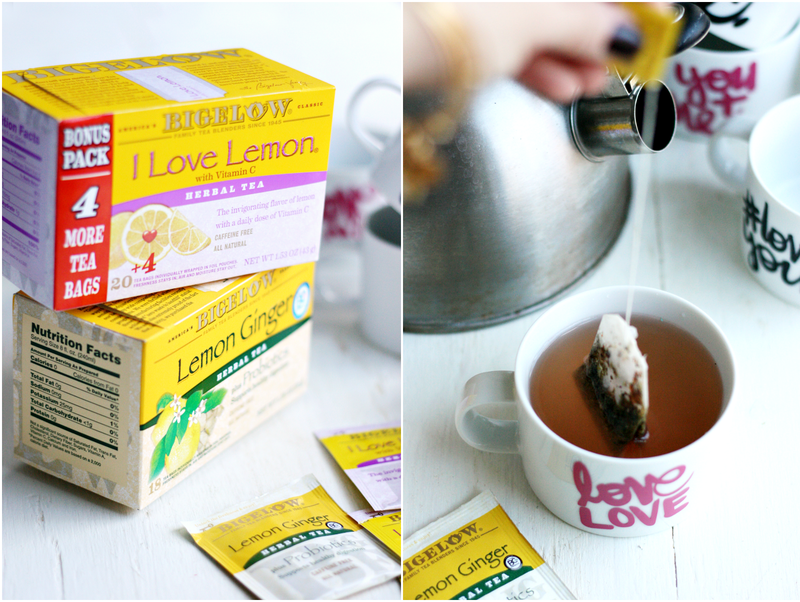 Plus, since Valentines Day is coming up they have a little love day twist so you an use them to make tea for your Valentine too! Now that’s true love. 1. Choose your design. I found these FAB love day sayings drawn by the super talented Jodie York in the Silhouette Design Store, and then I used my Silhouette Portrait to cut it out. Next, rub the design against your vinyl transfer paper. 2. Peel your saying back so it sticks to the vinyl transfer paper, position it on the mug and then rub the design onto the mug, using pressure so it will stick. 3. Peel back the vinyl transfer paper, pressing down any parts of the vinyl that may have lifted. 4. 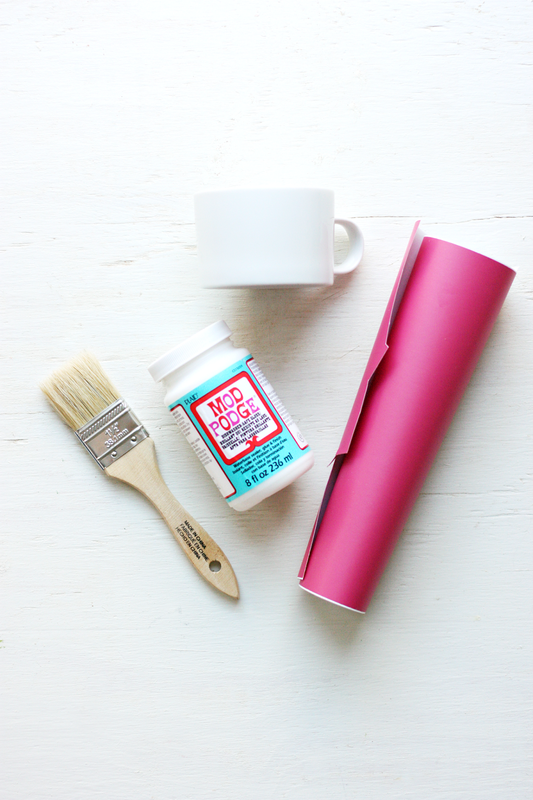 Time to Mod Podge! 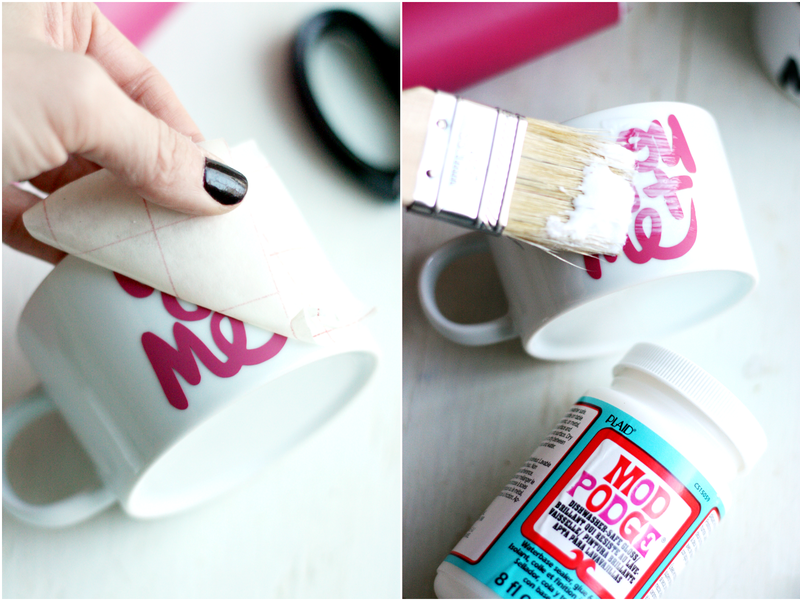 For this step, it is super important to make sure that you are using Dishwasher Safe Mod Podge. This will help to protect and seal your design and make it last much longer! Apply a thin layer over the saying, allowing it to dry per package directions. That’s it! Now all you have to do is fill them up with some Bigelow Tea, snuggle up with your Valentine, and tell cold and flu season to take a hike! 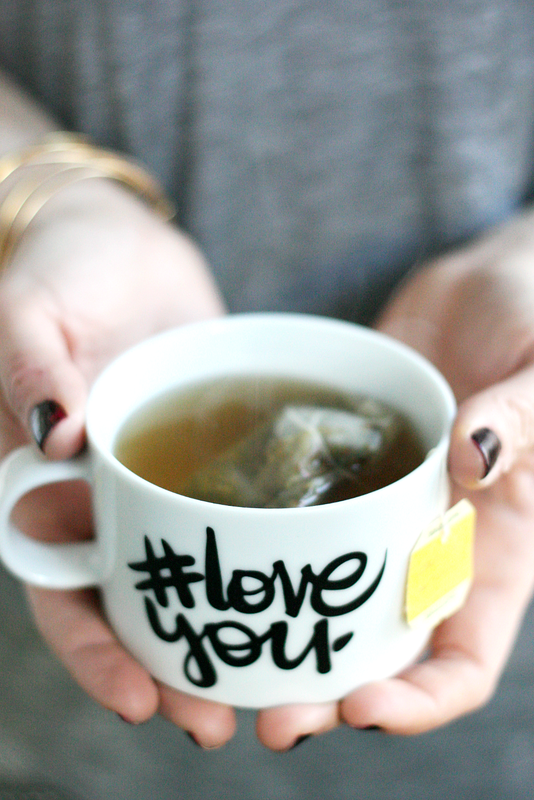 #LoveYou Bigelow tea! 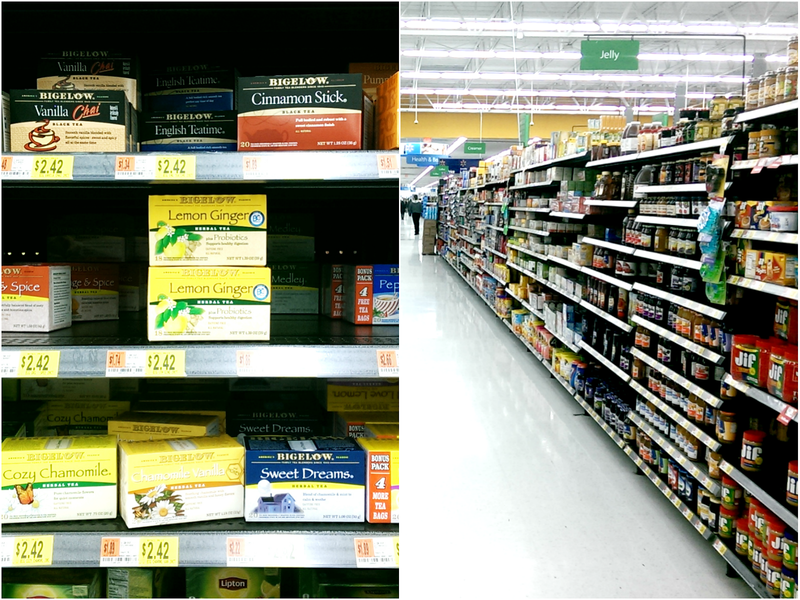 And be sure to head to Walmart to see their amazing selection of Bigelow Teas. What are your essentials for combatting cold and flu season? Give us all your tricks! « Amelia, I’m Feelin Ya. These mugs are seriously too cute! You guys always have the best DIY ideas! those mugs are adorable. I hope everyone feels better soon. So cute! Where did you find those plain mugs? They are a great shape and style. Can you see the modge podge after it dries? Did you use 651 vinyl? I was under the assumption that vinyl needs to "breath" so we can't seal it with anything this isn't true? According to Oracle makers “vinyl is not alive so it does not need to breathe. ” lol! How do they hold up after washing? Can't wait to make these. 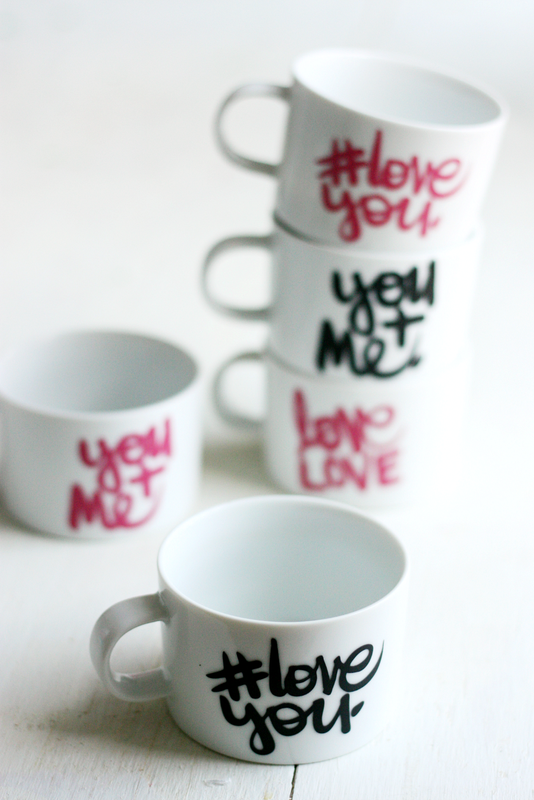 Also- wher did you get the mugs? Any suggestions? Do I cost the WHOLE mug? Hi Roberta! Yes, I did apply ModPodge to the whole mug because it does leave a little bit of texture and you’ll want that to be consistent on the whole mug. However, be sure that you are doing a thin layer since the ModPodge isn’t there to help adhesion, it is only there to make the mugs dishwasher safe. I hope this helps! ox. Looks great! What kind of vinyl did you use?